It's underway! The Dakar Rally started on the 4th of January from Buenos Aires, Argentina and will travel through Chile and Bolivia, crossing the Atacama Desert, before returning to the Argentinian capital some 8000KMs later. To me it is without doubt the most fascinating race in the world and one that I dream of competing in one day. Our British riders this year are Sam Sunderland (KTM) and Christopher "Corky" Cork (HUSQVARNA). There are a couple more familiar faces from the UK off road scene as well - Simon Pavey (BMW Off Road Skills) and his son Llewelyn are riding on their KTMs. At the sharp end, it's already looking as though a great battle is on between several manufacturers, but as we all know, a hell of a lot can happen in the next couple of weeks, we're only on Stage 3 so far! Anyway, I wish every competitor the very best of luck and I'm excited to keep track of the race. 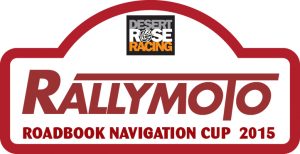 If, like me, you are one of those people who just can't get enough of the Dakar and want the very latest news, here are some useful links for following the action from the comfort of your armchairs!